Join us to view first-hand to see how the unique LEGO® brick furniture collection by SARA REICHARDT design is created and best styled for the home, along with complimentary happy hour bites and sips. 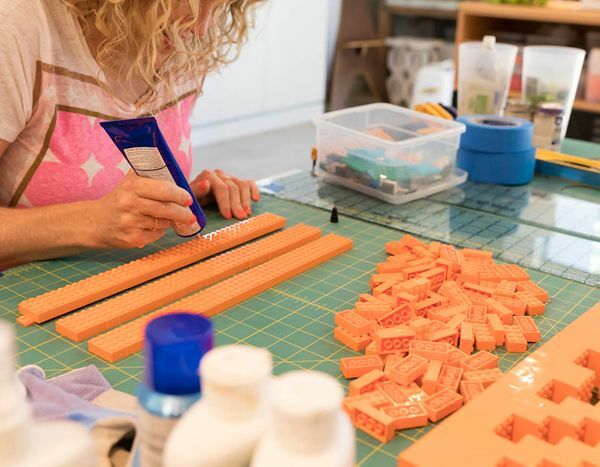 Sara Reichardt will showcase her private studio in the Westlake Hills neighborhood showcasing her newest furniture collection from SARA REICHARDT design made entirely of LEGO® bricks. In addition to sharing home styling tips for the furniture pieces, Sara will also demonstrate how the furniture is built with a live demonstration. Guests will partake in open tours of the studio, happy hour refreshments and 1:1 conversation with Sara Reichardt, as well as, enter a drawing to win a SARA REICHARDT design custom decor piece. SARA REICHARDT design seeks to help you live and play well through creating unique and handmade furniture, for those who want to add a sense of playfulness through functionality to their homes.